Ah, the breakfast buffet. That glorious parade of table upon table (upon table, if you’re lucky), each one brimming with different sorts of edibles, each one more mouth-watering than the next. It is one of the best things to greet you first thing in the morning, next to, well, next to nothing, really. Besides the parade of dishes that do not run out in between the hours of seven and ten, breakfast buffets have always been associated with good memories, or at least a good hotel. In my case, partaking of a breakfast buffet means either I’m in a good hotel, on vacation, or out with family. Growing up, there were a spate of Sundays when my paternal relatives would hang out over the breakfast buffet at what was then the Philippine Plaza. The kids loved exploring the hotel while the adults caught up. I have fond memories of the glass waterfall that used to adorn the ground floor. I used to go to town on the buffet–at least three rounds of all the bread and cheese and jam and cereal and bacon and hot meals that I wouldn’t be able to get at home. 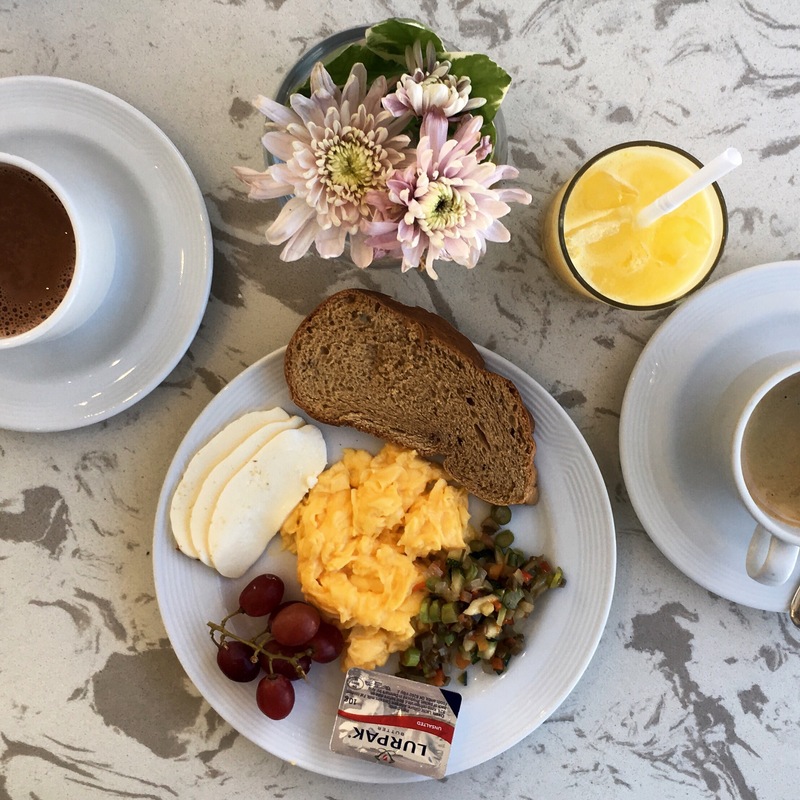 Nowadays, I can only go one round on a breakfast buffet, and tend to stick to eggs and toast and perhaps some cheese and fruit, though I do drink a lot of coffee–probably more than what’s healthy. Just being able to indulge in a breakfast buffet, being able to relax and enjoy the morning, means a lot to me. While it started as a celebration of all the food available, it’s become a different sort of treat, one that reminds me of a time when life was simpler (though you couldn’t pay me enough to go back to being a child because that was a nightmare all its own), while also giving the illusion that one will never run out of food. Not everyone can afford a breakfast buffet–I certainly can’t. But the few times that I have access to it reminds me that there are many things, tiny things, to be grateful for in life, such as the egg station.